Happy Friday CCCers. A quick note on something I wanted to share (If guestblogging is not your cup of tea, ignore the rest of this post and have a good weekend. 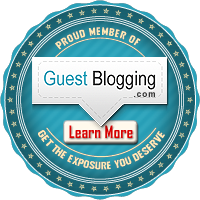 If guestblogging is something you’ve considered, read on). Ever heard of Jon Morrow? If not, read this and come back. Back? He’s one of the highest-paid writers/marketers in the blogosphere. Anyway, Jon liked what I did so much, I’m now officially part of his guestblogging program, and all my color-coded edits are in the forum for everyone to study. It’s something I believe will benefit struggling bloggers or I would not have bothered to go through the course or become part of it. Now for the part that benefits ME. Pimping out programs isn’t really my style, so this will be the only time I post something like this. Hopefully, I’ll see some of you in the program. If not, I’ll see you every Monday and Thursday as usual. Hey all! Sean Platt’s new writing site about self-publishing, The Digital Writer, is live. Check it out and leave a comment letting him know what you think. No challenge today. Just enjoy your day today. It’s Nominate Your Fav Writing Blog Time Again! Write To Done is having their 6th such contest and I’d like to get our name up there. Take a look and if you believe it to be so, vote for the CCC. If you don’t, vote for another one you like. @Mitch asked me in the last challenge for help in figuring out how to get his ideas into book format. Mitch has read Larry’s book on Story Engineering but still has questions about how to tackle the ideas in his head. Print these items and put them into a binder. When you have a good story idea, use the above resources and polish that idea into a solid story. Just wanted to say hi to all the readers out there reading us, and give you an opportunity to say hi to all the contributors here.Â Tell us what you like and anything you’d like to see here. And to all my CCC contributors that have not stopped by in some time, let us know you’re still alive and kicking, and let us know of any cool projects that have your attention (Yeah, link away). I decided to send out tweets asking for one random word from bloggers. I’ll use their words for tomorrow’s challenge. I had a blast interacting with the people in Twitter, and the challenge should be fun. The 10 bloggers have a variety of interests and backgrounds, so this should be fun.